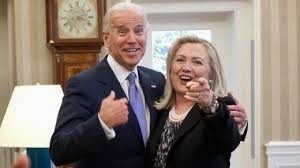 This is Joe Biden’s reality after nearly four decades in the Senate, countless fundraisers for his party and endless ego-massaging of his colleagues: Not a single Democratic senator, including the two from his home state, are publicly urging him to run for president.And this is Hillary Clinton’s lot: A majority of current Democratic senators are calling on her to run in 2016, years before the election and months before she’s expected to even make up her mind whether to seek the White House again. That despite the fact that her eight years in the Senate ended with more than a dozen colleagues spurning her presidential campaign in favor of a younger upstart senator from Illinois.Such deep support for a potential candidate this early on, practically unheard of in presidential politics, reflects the deep hold Clinton has over her party and the sense among senators that there are no other viable options to keep the presidency in Democratic hands. But the fact that senators with whom he worked alongside for decades wouldn’t at least stay on the sidelines so long before the election — as Biden is openly flirting with a run in 2016 — is also a personal and political repudiation of the vice president.